More Than Medicine is your local Hallmark headquarters. 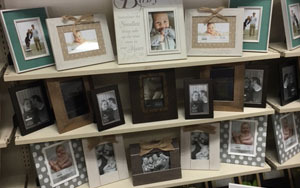 Visit us for a huge variety of great merchandise that is appropriate for brides and mom's with new babies. We carry Tovolo products and Ginger Snap Jewelry as well as Willow Tree. Expectant mothers and brides can register at More Than Medicine for gifts. Registry gifts can even be delivered to your desired location. We offer free gift wrapping. Contact us today to learn more.